With February already here, it’s time to start planning what to do with your significant other for that one special day out of 365. If for some reason that out-of-town you fancy as a Valentine’s destination could not be done, then a quick retreat within the city is the answer. 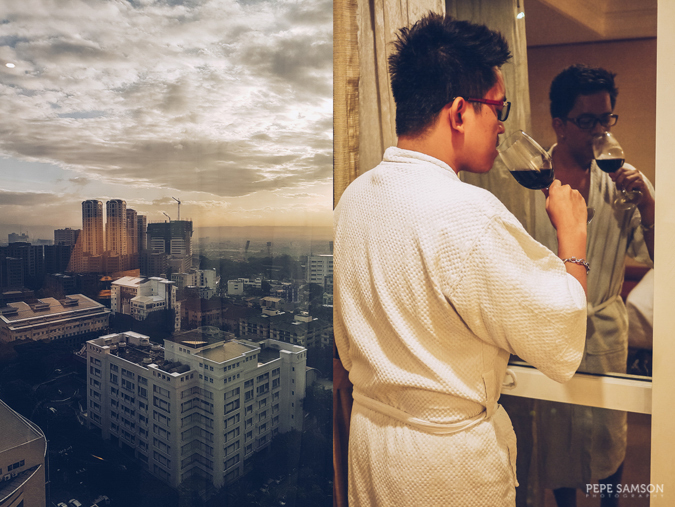 It’s all you need for that quality time you seek—a breather from the city stresses—and whether you’re celebrating your nth anniversary, waiting to pop the magic question, or just starting to know each other, a hotel staycation is undeniably the most intimate way to spend time with your partner. 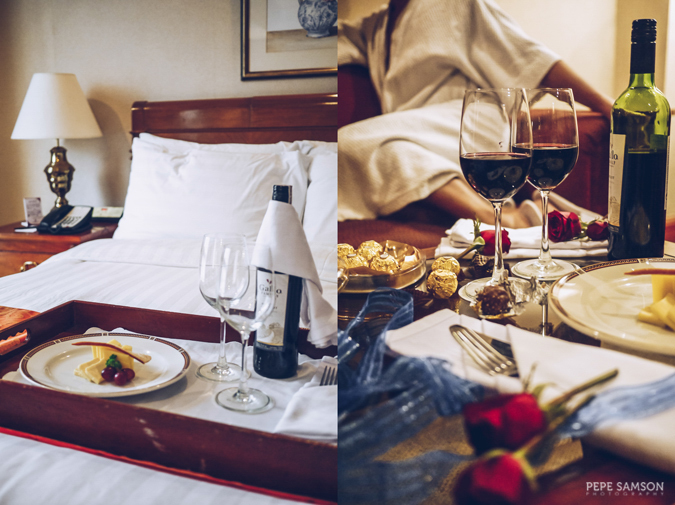 If you seek a relaxing stay in the heart of the metro, consider these amazing Valentine packages I discovered from Richmonde Hotel Ortigas. 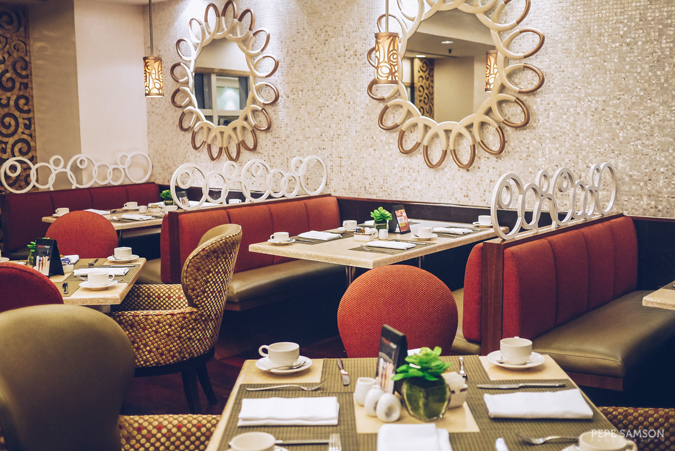 Richmonde is a 4-star, 210-room hotel situated right within the Ortigas CBD—a 17-year-old establishment that has maintained its position as one of the preferred hotels in Pasig city. 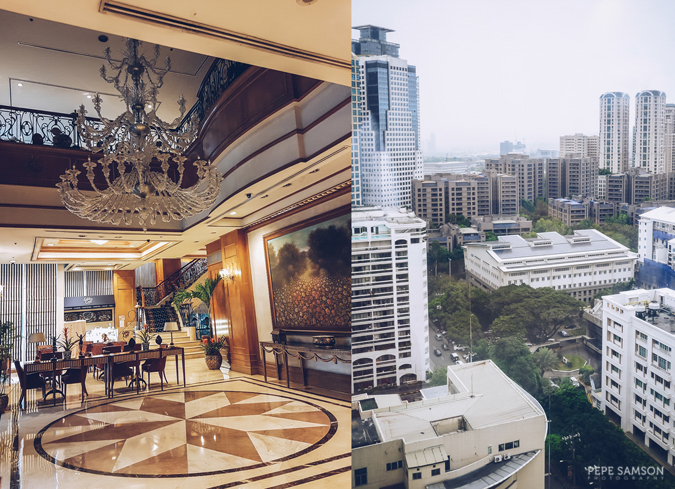 Just recently, I had the pleasure of experiencing the amazing hospitality of Richmonde’s flagship property in Manila—and I need to emphasize this: in spite of the hotel’s age, they have stayed classy and kept a level of service that surpasses expectations. 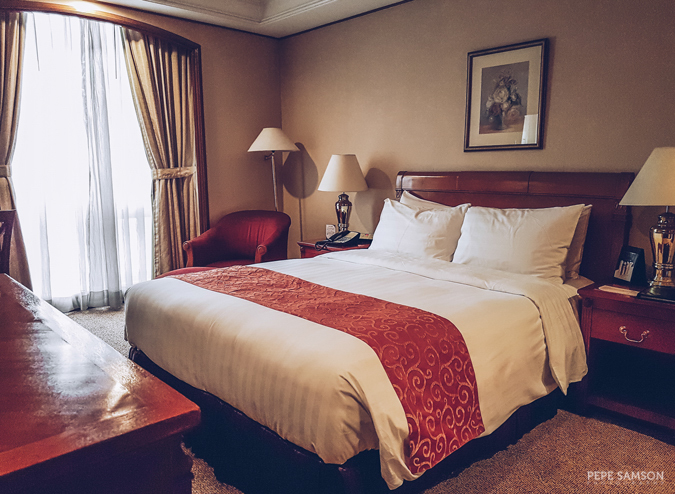 We stayed in a Junior Suite, which features a Queen-size bed, a workstation, an en suite bathroom, and a living area perfect both as a dining space and as a receiving area for visitors. I love how spacious the room was, and how its large windows peek out into the cityscape beyond. Equipped with all the necessities and some touches of luxury, the Junior Suite is the perfect space for partners to spend time doing nothing but enjoying each other’s company. 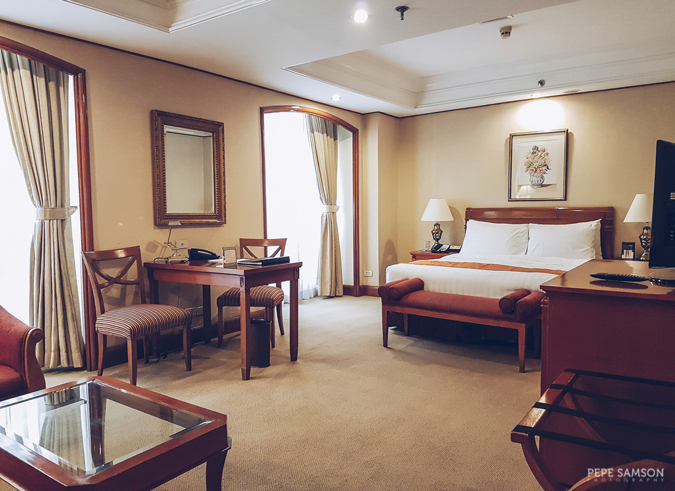 For the whole month of February, couples can stay overnight at a Deluxe Room (photo below) or a Junior Suite for only PhP4,000 and PhP4,500 respectively with Richmonde’s Bed and Breakfast package. 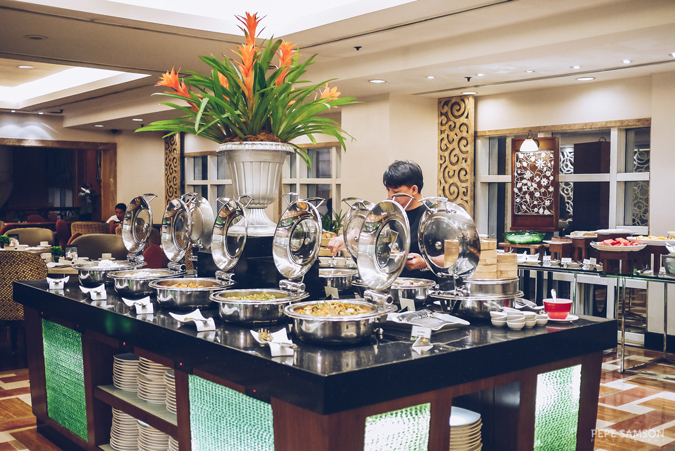 The promotion comes with buffet breakfast for two and complimentary use of the hotel’s heated indoor pool and gym. 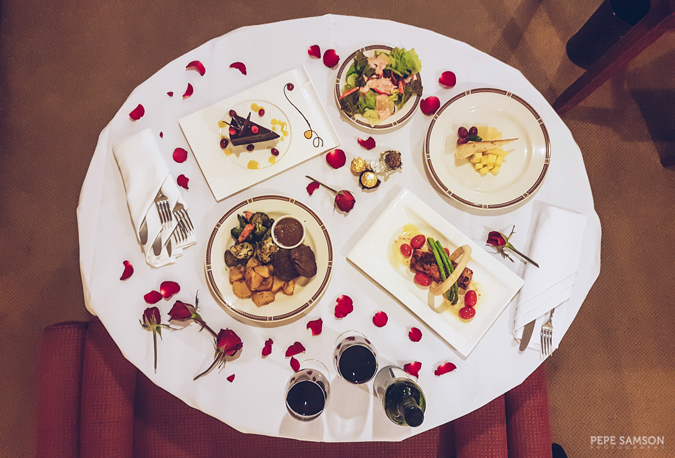 For an extra sweet touch, surprise your loved one with a bottle of red wine and a matching cheese platter—which are part of the Valentine’s Package, priced at PhP4,500 (Deluxe) and PhP5,000 (Junior). 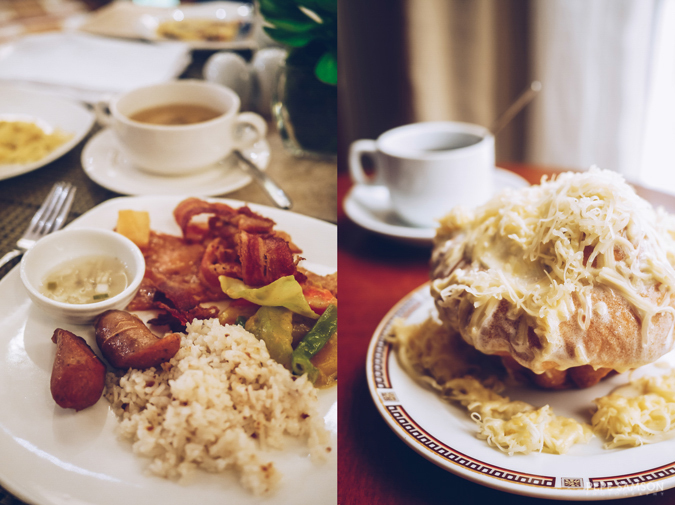 The breakfast choices at Richmonde Café located on the 2nd level are kept simple yet satisfying, with a humble selection of breads, cheeses, and salads for starters; an omelet station; a soup station; an entrée station offering breakfast staples (bacon, sausages, daing na bangus, etc. 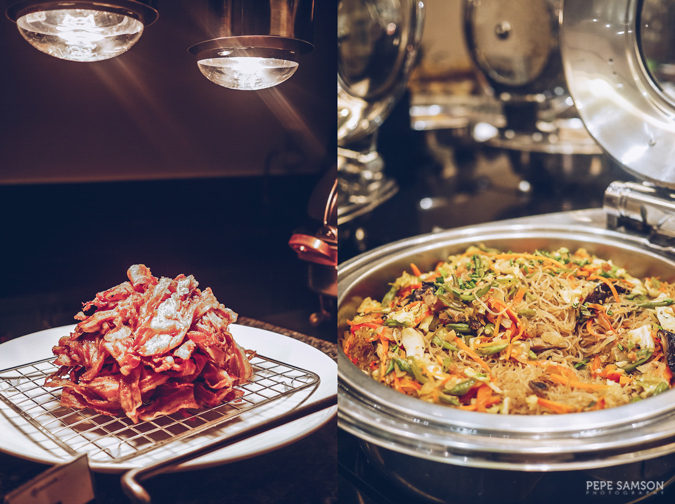 ), viands, noodles, and rice varieties; and a dessert section with cakes and fresh fruits. 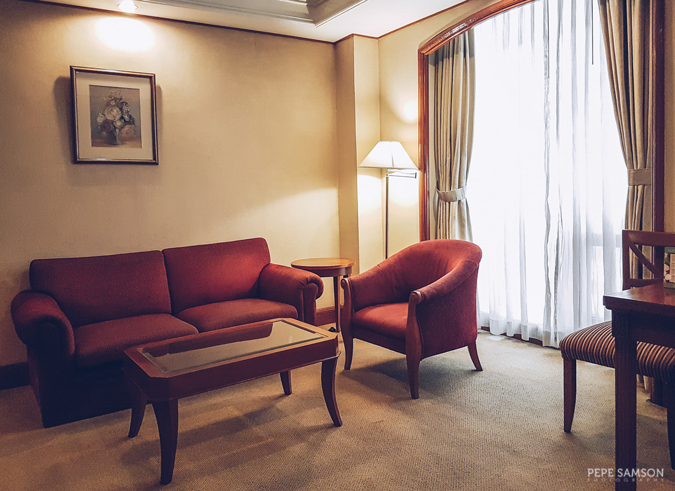 A lot of business travelers stay at Richmonde, so expect a morning ambience that is quiet, cozy, and, to an extent, prim. 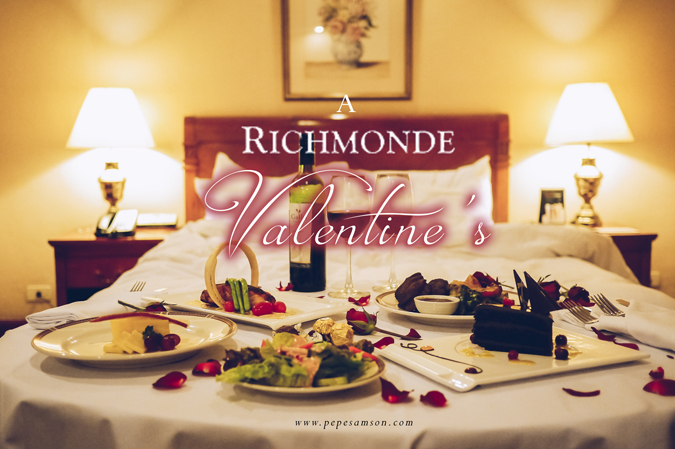 But while Richmonde Café can very well be a romantic venue, I highly recommend ordering from their in-room menu for dinner. It saves you from the possible restaurant bustle, and allows you to enjoy your meal in bed, with more privacy and intimacy. 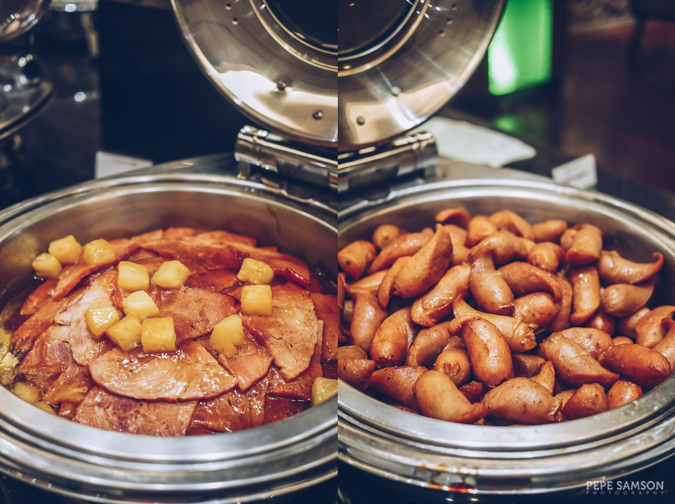 Order from their grill menu like we did—the Beef Medallions come in generous portions and hefty side dish choices like soup, salad, potatoes, rice, and vegetables. 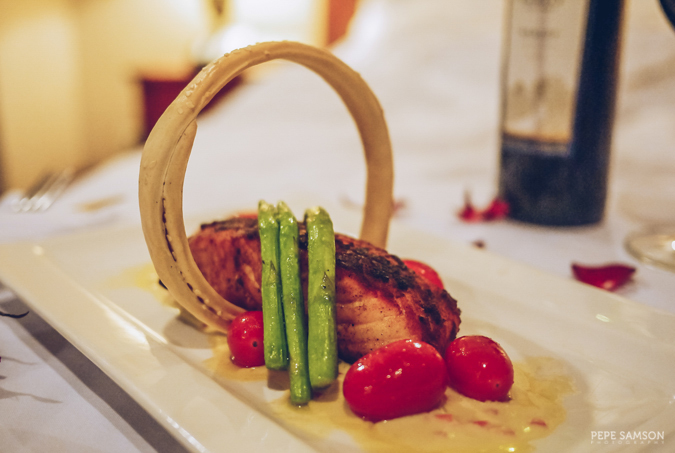 For something light but equally sumptuous, get the Norwegian Salmon served with beurre blanc sauce, asparagus, and cherry tomatoes. 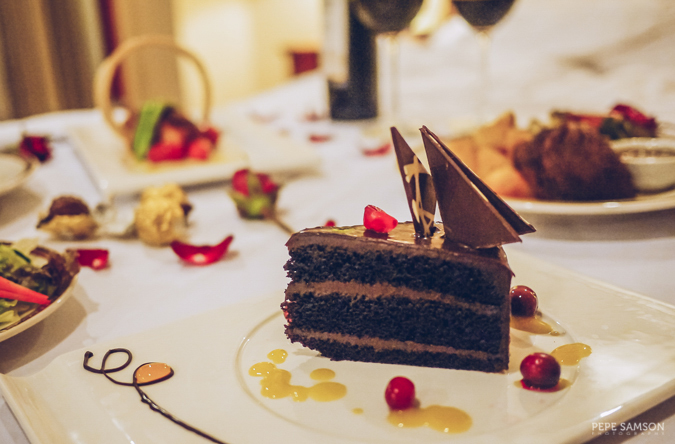 Pair them with your wine as you wish, and end by sharing a slice of Richmonde’s signature Chocolate Cake with mango coulis and dried cranberries—which was rich, decadent, but not overwhelming. 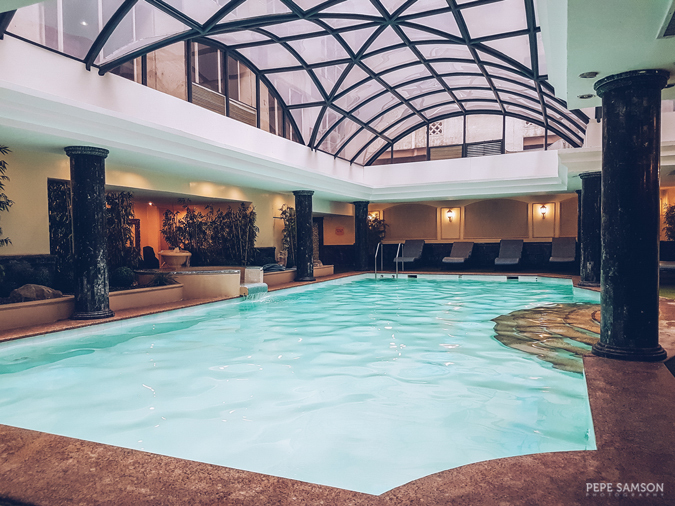 Do a few laps in Richmonde’s indoor heated pool before retreating to bed. Furthermore, get pampered before you sleep with a duo in-room massage, performed by the hotel’s trained therapists. 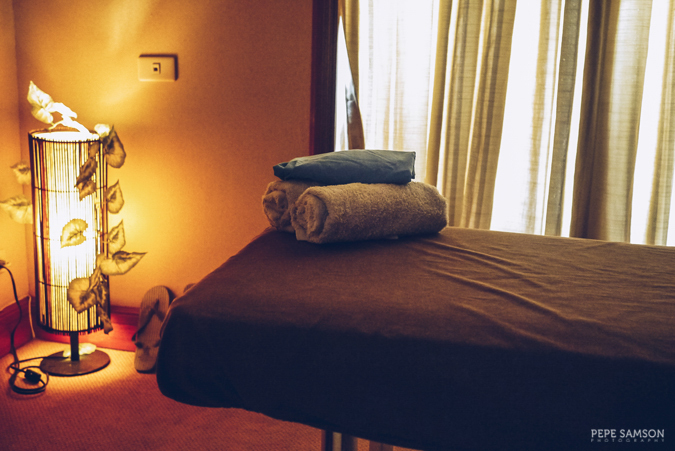 Choose between Shiatsu and Swedish massage treatments to relieve body stress and tension, or a reflexology session to soothe your exhausted legs and feet. Richmonde has small treatment rooms in the 14th floor, but I suggest having your massage in the comfort of your own room. It’s strictly by appointment, so make sure you call and set up a schedule upon checking in. 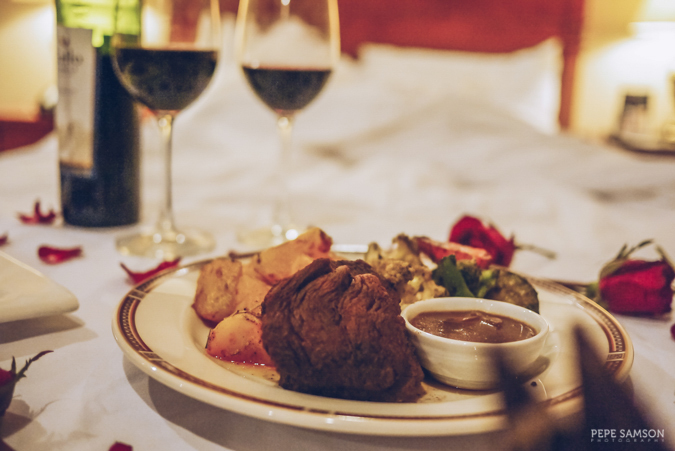 Next to Christmas, Valentine’s is probably the busiest season among all hotels, so I highly suggest making reservations right away (book here). Richmonde’s offerings are simple yet timeless—providing you a venue to start the perfect mood. The rest is totally up to you! Unless you’re planning to do something outrageous for hearts’ day, you would want to get these simple gestures of love across, which—let’s face it—you don’t get to do to your partner every day. Have a meaningful Valentine’s Day! Richmonde Hotel Ortigas' Valentine promos are available from February 1 to 28, 2017.